There was a movie that my friend watched last year called Devil in the Dark. I wanted to watch it, but I didn't have time to watch it in the cinemas. I googled devil in the dark in images so I know what the cover of the DVD might look like in order to make a purchase at some DVD store and watch the movie, but then I saw pictures of Star Trek, particularly the characters Captain Kirk and Mr. Spock. 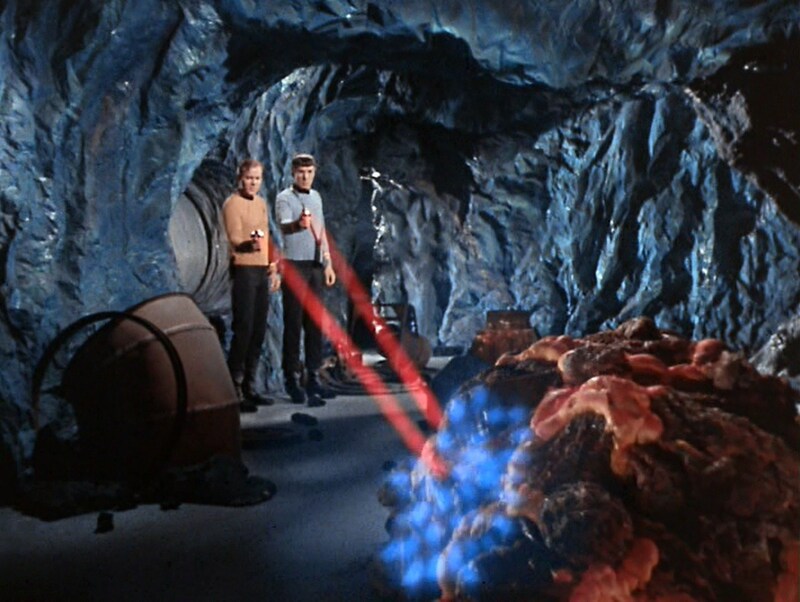 The only episode that came to mind in regards to where this image could be from was The Cloud Minders since it looks like Kirk and Spock are in a cave, and the episode involves miners (known as Troglytes) that dwell in caves. But I don't know how it is related to Devil in the Dark. Are Star Trek and Devil in the Dark related in any way? The Enterprise arrives at Janus VI, where an unknown monster is destroying machinery and killing the miners, threatening the entire mining operation. There was a movie in 2017 called "Devil in the Dark." There is no connection between that movie and the 1967 Star Trek episode with the same title. Dark energy and matter in the Star Trek Universe? Are Gorn and Tamarian related? Are Chameloids related to the founders? Why is Spock's mother alive in Star Trek IV? What happened to the Roddenberry's script “The God Thing”?